Guys: You Might Be Able To Get Your Foreskins Back! Foregen, a non-profit organization operating out of Rome, Italy, is becoming one of the largest advocates for the future of restorative treatments designed to help men recover some of their lost sexual tissue. To be clear Foregen is not offering any particular procedures, therapies, or drugs that can instantaneously regenerate a man’s foreskin. Rather, the company is working to shed light on the broader field of regenerative therapies, albeit with a specific focus on foreskin. At present Foregen, which also operates here in the U.S. has raised about $100,00 from private investors and has plans to crowdsource additional funding. Foregen also claims that by spearheading the menace of circumcision, development into the broader field of human regeneration with be spurred. “The premise behind Foregen is that if we are regenerating entire body parts from more complex body parts, why not apply this to the only body part that hundreds of millions of boys are missing,” Eric Clopper, a Foregen rep explained to Motherboard. I am pretty indifferent to foreskin. I am circumsized, and have had partners both with and without foreskin. 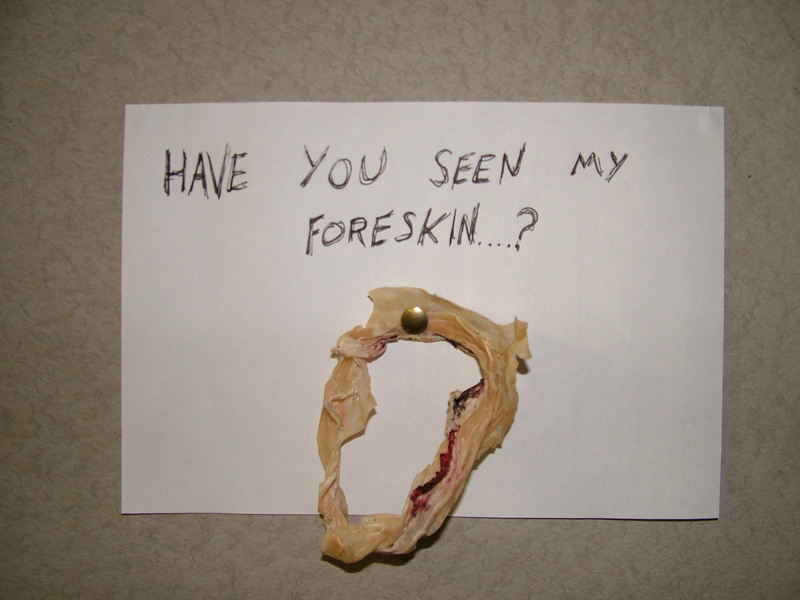 But, I do have friends out there who really want their foreskin back in its proper place. This may address those needs! Would you have your foreskin regenerated? Tags: men's health. Bookmark the permalink.